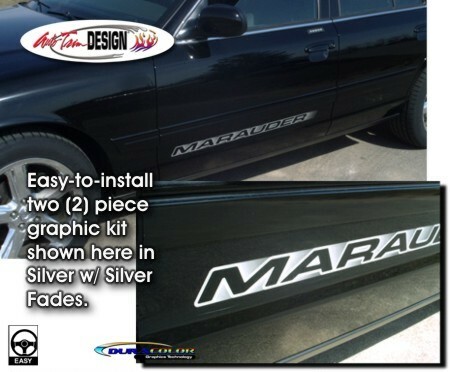 Enhance your Mercury Marauder with these awesome body side graphics. Available in four (4) fade color choices and is individually packaged with one (1) Left Side and one (1) Right side graphic. As you can see, they look Great! Easy to follow general online application and care instructions are included.